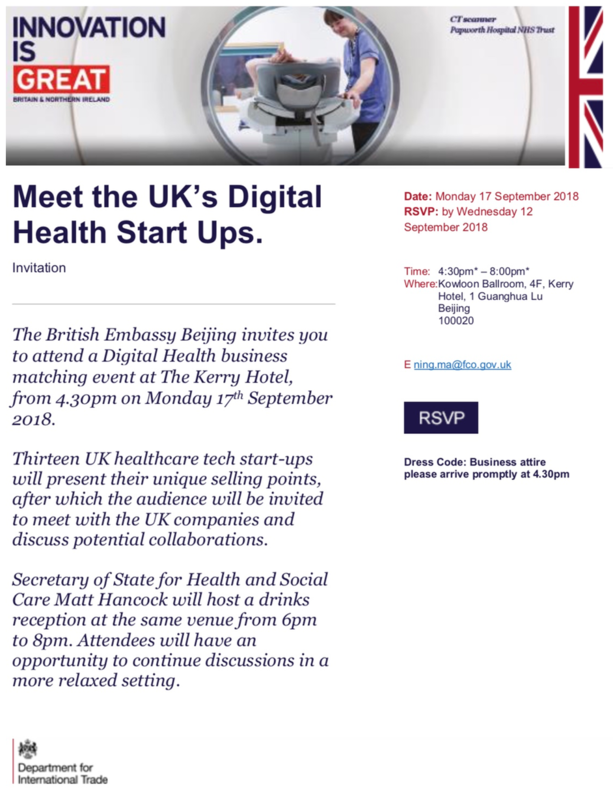 Zesty was honoured to attend the UK China Digital Health event in Beijing organised by the British Embassy and Department for International Trade. Lloyd Price, co-founder of Zesty met new Secretary of State for Health and Social Care, Matt Hancock and they discussed the innovation being developed by Zesty and other UK Digital Health companies. “As global leaders, the UK and China must work closely together to tackle key emerging issues in healthcare like the increasing resistance to antibiotics, the issues of an ageing population, and how we can harness the power of technology to help patients live longer, healthier and happier lives.